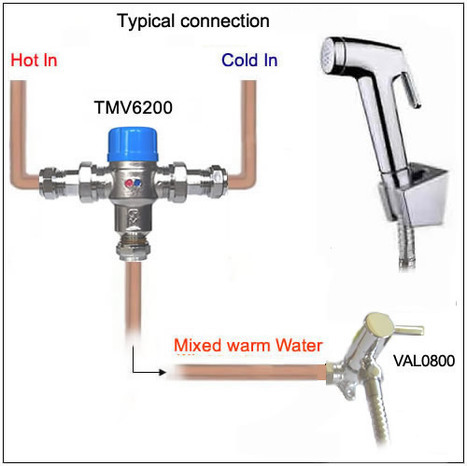 It does the job as described, it has non return valves on both cold and hot water inlets, easy to install. 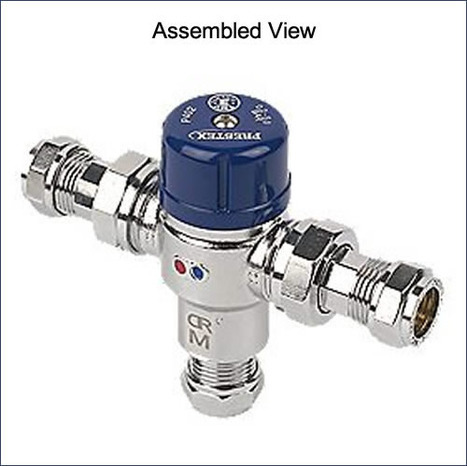 I ordered the mixer valve and I had a quick response The item arrived by Royal Mail I was kept informed about the delivery progress. Very efficient service. 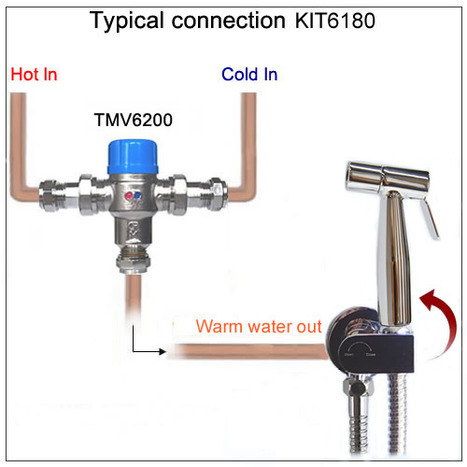 Thermostatic controlled Hot / Cold water mixer valve. Small modern design, metal casing, manufactured by Pegler YorkshIre Model P402. 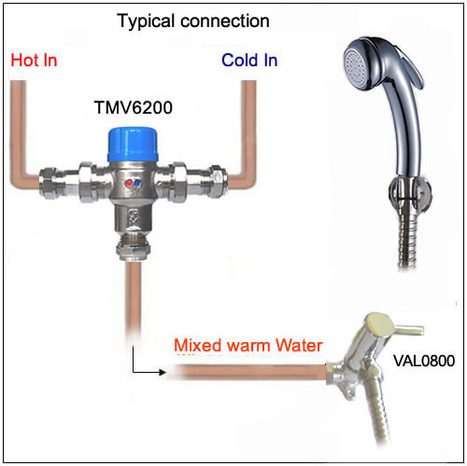 Requires seperate water on /off valve, ideally suited for use with our water isolating vlaves, VAL0800, VAL0850, VAL1000 0R VAL1500, VAL2000, VAL2300 or VAL2500.. 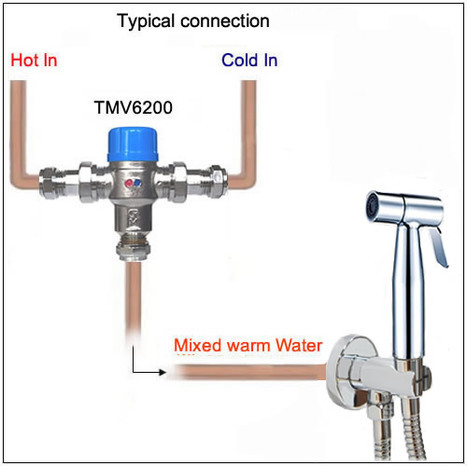 Incorporates wax capsule thermostat technology that maintains a stable temperature, ensuring safe operation for the user. 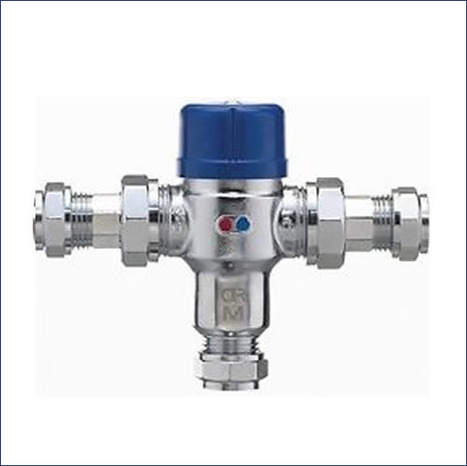 Has been specifically designed and manufactured to meet the rigorous requirements of the current TMV3 standard. 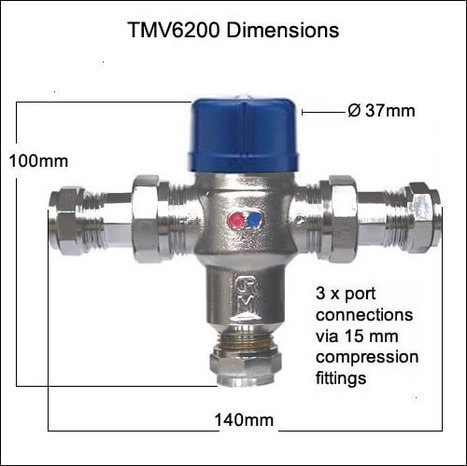 Has been independently tested and certified as meeting the requirements of the D08 specification under the TMV3 scheme. 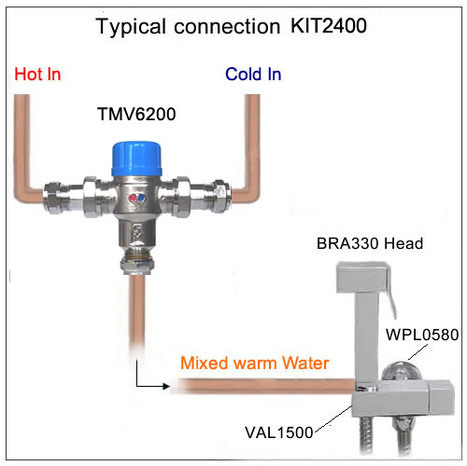 Adjustable calibrated automatic temperature control, factory set at 43C, recommend reducing to 30C when used with a bidet shower, to adjust the temperature supply to 30 C remove the plastic cap on top of the valve and adjust clockwise with a close fitting spanner. To view what comes in the box and to see dimensional info' click view additional images under the picture to the left then click next on the large picture to view all of the additional images.